You don't know enough swear words! 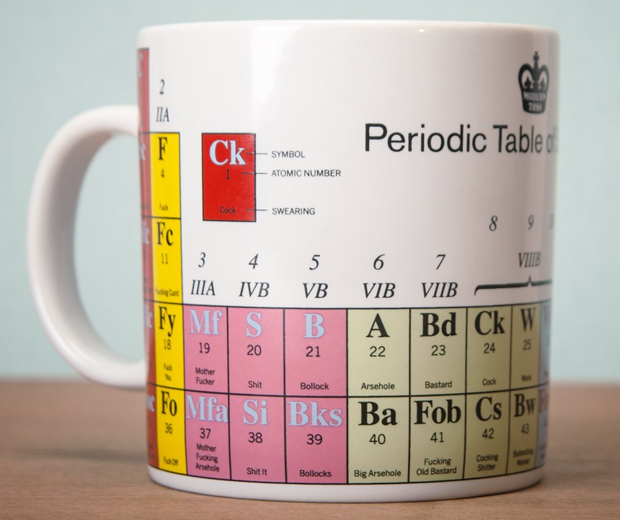 That is a fact, no-one you know does, in fact everyone needs this mug! 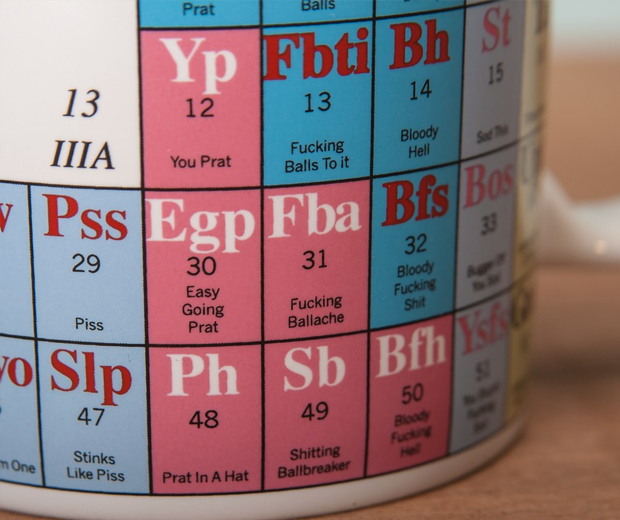 Expand you swearing capabilities with the Periodic Table of Swearing Mug dreamed up by the geniuses at Modern Toss. 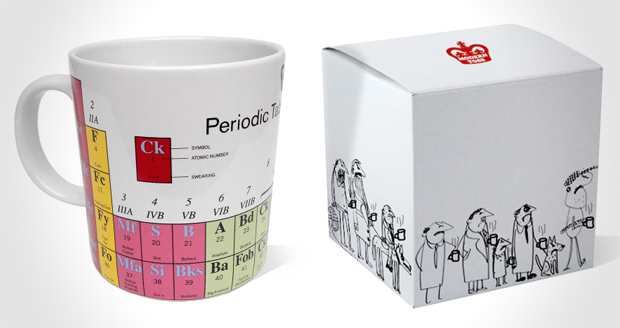 You could even get you mom a lovely Periodic Tablecloth (Tea-cloth) of Swearing!